Why join a CIFE college for a two-year A-level course? CIFE colleges are an effective alternative to staying on at school for a two-year A-level course. They combine independent schools' small class sizes and emphasis on exam success with the student-centred outlook of the best state state sixth-form colleges. Our students often say that their previous school served them well up to GCSE, but they joined a CIFE college for A levels because they felt that a further two years in school would not help them with the outward-looking flexibility needed to flourish in the 21st century. This is what CIFE colleges are particularly good at helping their students develop. CIFE colleges approach two-year A-level courses with their characteristic flexibility and focus on the individual. Flexibility shows not just in the range of subjects and combinations you can choose, but also in patterns of exam taking, subject load etc. For example, during a two-year A-level course it may be possible to include taking a complete A level in a year, to pick up new subjects in upper sixth, or to include a GCSE resit. A two-year A-level course at CIFE colleges generally offers over 30 A-level subjects with few restrictions on combinations. Choosing subjects and deciding how many to take needs careful thought and good advice, looking at what you are good at and what you might want to study at university. Your interests and plans must be key and CIFE colleges are good at tailoring programmes to the individual. Do read our advice on choosing the right A-level subjects and FAQs about A-level choice. Important though they are, good A-level results are just one of the signs of a successful sixth form. A two-year A-level course is also a time to become more independent and to develop your talents in preparation for university and beyond. The high staff-to-student ratio in CIFE colleges helps considerably in easing you from GCSE ways of working into university-ready study habits. 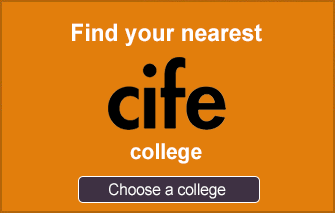 All CIFE colleges offer more than just teaching, but they vary in the extent to which you are required to take up extra-curricular options: many expect you to join in during the first year, (especially given the importance universities attach to 'roundedness'), but will you more freedom in the second year. Do contact us to discuss your options and the sort of college environment which would suit you best.